I have a new used HP Elitedesk 800 G1 SFF that will connect to my network but not to the internet. Finishing windows setup, no internet. But does connect to network: Gets an IP address, can browse network drives. Cannot load web pages. Cannot ping anything. Updated i217 drivers with those on HP site, same. Updated with latest from Intel website, same. Plugged in a wifi dongle. Same - local network, no internet. Tried 3 cables. Tried different switches. Tried downloading Win10 ISO and installing to a thumb drive - no internet over ethernet or wifi. Rebooted firewall (pfsense). Firewall DHCP gives an IP, nothing blocked in logs. ntopng says it is making connections to microsoft. -resetting winsock et. al via netsh. I'm at a total loss. I'm not even sure if this is a windows problem, a hardware problem or a firewall problem. Can anyone tell me what to try??? Wrong DNS setup or wrong gateway? Visit http://172.217.11.78 see if www.google.com shows up. What's network card's IP config info? 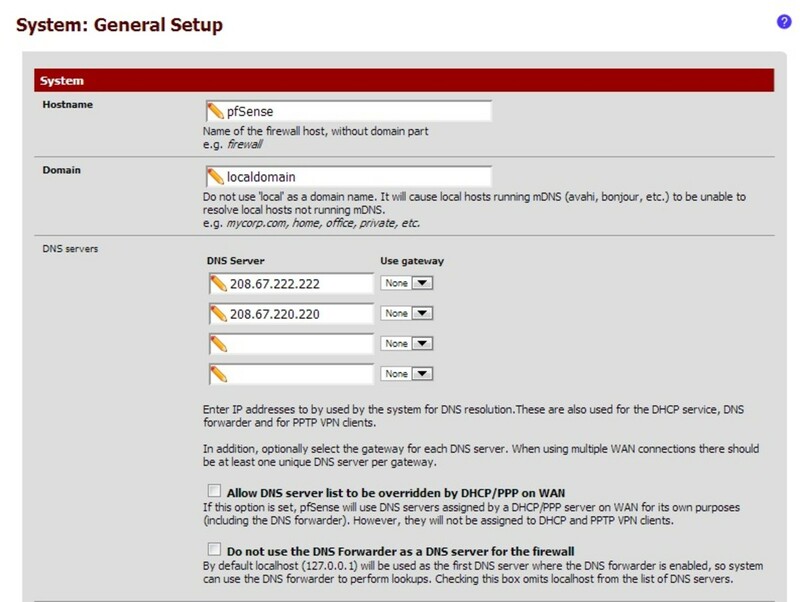 Did you configure DNS correctly on pfSense? Yes. There are several other devices on the network and DNS is working for them. Plus, http://172.217.11.78/ doesn't need DNS. Ping 8.8.8.8 fails. First time to setup pfSense? OK, so other devices on the network worked, but both wired & wifi on this machine did not work, weird. .
No, pfsense up and running for a couple years. Numerous devices including other Win 10 PC's have never had any problems. Ran each of the 'fixes' in NetAdapter Repair All In One and Complete Internet Repair not to mention Windows' own troubleshooter. How about trying Linux on the machine see if it works? Yeah, I'd try bypassing the firewall and connecting directly to the cable modem using DHCP to see if that fixes the issue. This really sounds like a firewall issue a this point. Well, I had to move monitors and such - all around PITA - but pluging ethernet directly into the cable modem and it works perfectly. Next, downstream is the firewall. Directly into the firewall and it works. Not a firewall issue. Next comes a Netgear GS316 unmanaged 16 port switch - initially no lights. After few minutes I notice the lights are on and I get the familiar "no internet" yellow triangle. Changed adapter properties (e.g. turned 'energy efficient ethernet' off). Did you try multiple ports on the switch? ive seen switch ports go bad where they allowed some traffic but not other traffic. Wow... it sounds like a problem with the network switch. Interesting. Like Rifter said, I'd try multiple network ports on the switch, and multiple network cables. Well, test results have been confusing in part because of a loose ethernet jack. However, it seems it is in fact the firewall - the firewall is not allowing internet traffic for IP's in the range offered by DHCP. Haven't finished testing so I don't know the exact range but I gave DHCP a different range to offer and assigned a different PC a few IP addresses and suddenly no internet. Not sure how or why - in the past these IP's were used and nothing I can see is blocking them. But the PC in question works just fine when assigned an IP in the working range (and the cable is pushed in all the way).